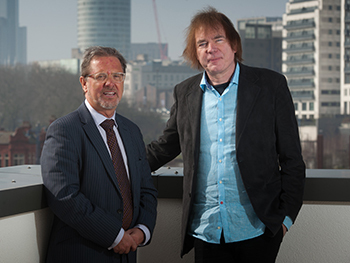 Julian Lloyd Webber has been appointed as the new Principal of Birmingham Conservatoire, part of Birmingham City University, confirming the city’s position as a major centre for classical music performance. The internationally renowned cellist takes up his new position as work gets under way on a new home for Birmingham Conservatoire, the first of its kind to be built in the UK for a generation. Built on Birmingham City University’s rapidly expanding city centre campus the new Conservatoire will feature a concert hall and unrivalled practice facilities. Julian's arrival in the city will reinforce Birmingham’s longstanding reputation for classical music performance. It's home to the globally recognised City of Birmingham Symphony Orchestra and boasts three well-regarded concert halls at a time when London is urgently seeking a solution to its lack of high quality classical performance space. I am honoured and thrilled to be chosen as the new Principal of Birmingham Conservatoire. The state-of-the-art facilities being built within Birmingham City University’s superb campus will be second to none and superior to many, both throughout the UK and beyond. I am especially excited about the fantastic opportunities that will be on offer to our students. Widely respected as one of the finest musicians of his generation, Julian has become one of the UK’s most successful classical artists. He was the only classical musician chosen to perform at the Closing Ceremony of the London Olympics in 2012 and last year received the Incorporated Society of Musician’s annual Distinguished Musician Award. Julian will replace the current Principal of Birmingham Conservatoire David Saint, who retires in June. Our Vice-Chancellor Cliff Allan said: "Julian’s appointment is great news for the Conservatoire as it looks forward to moving to a superb new home, as well as for Birmingham City University and for the whole city – confirming its status in classical music education and performance.